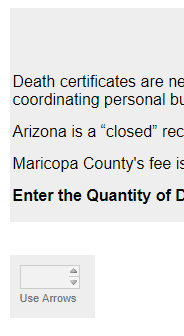 I'm having difficulty changing the the background color of a single element (text box). Can you show me how to do this in form designer? You cannot change the background color of a specific element using the Advanced Designer. 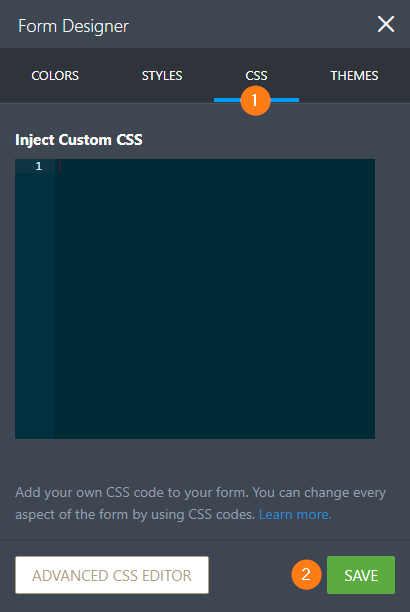 You can accomplish that by adding custom CSS code to your form. Let us know what is the specific element you want to change the background color and we will guide you on how to get it. 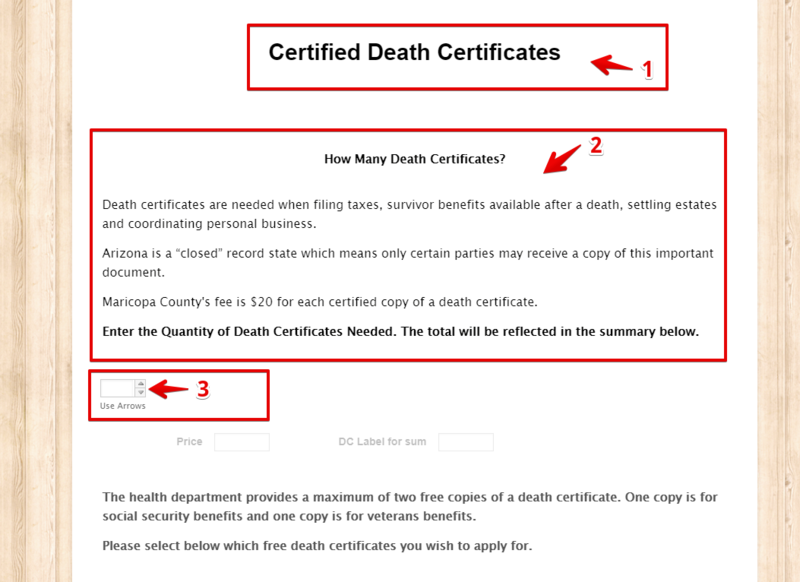 I would like to change the background color to the text box below "certified death certificates". What background color do you prefer? Text box #2. I am looking for a very light grey. Can I implement the same change to the spinner below? Thank you. I copied pasted the css, but I am ending up with this. 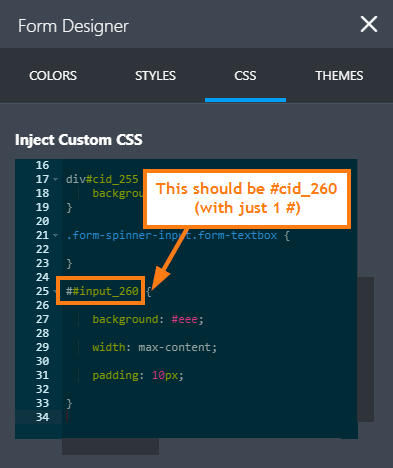 Please ensure that your CSS selector is #cid_260. Thank you. 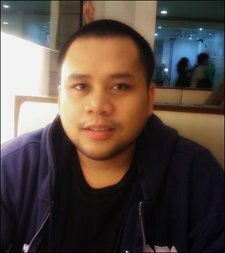 I was trying different things after your last response. There may be an issue with editing in Firefox. I am having difficulty with random elements. Just a FYI. I was trying different things after your last response. No worries - Just make sure you will click the green SAVE button at the bottom of the CSS tab whenever you're making changes. I am having difficulty with random elements. I recommend you open a new thread for this if you could provide a more detailed description on what those random elements are so we can help you.